Started in 1792, USA based Cigna is one of the oldest insurers in the world, and has one of the longest records of insurance coverage in Asia of any insurer still operating, having written its first Asian property policy in 1879. Expanding into the international health insurance market more than 30 years ago, Cigna now has offices in Europe, North/Central and South America, Australia and throughout Asia. Presently Cigna insures individuals, families and groups in over 205 countries. Accessing healthcare with a Cigna policy is usually easy and convenient, as Cigna operates one of the largest healthcare coverage networks on Earth, with more than 200,000 healthcare facilities and physician partners. Furthermore, Cigna's staff of nearly 30,000 proves adequate to care for all of its customer's policies and claims in house, rather than relying on contracted outsourcing to deal with insured's needs. 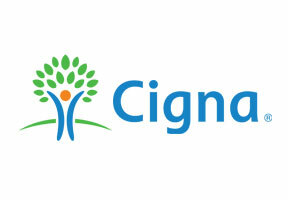 For complete details on health insurance plans and coverage from Cigna, contact us. Reaching an adviser is easy, simply complete the information request located at the top of this page and mention 'Cigna coverage', or click here to reach an adviser right away for assistance with your questions or concerns.